Presented by Jean Jacques Machado, one of only a few Brazilian jiu-jitsu masters to be awarded the red belt by the legendary Rickson Gracie, this 3-DVD set features grappling techniques with a gi (uniform) and without, so martial artists of all levels can successfully transition between styles. Presented by Jean Jacques Machado, one of only a few Brazilian jiu-jitsu masters to be awarded the red belt by the legendary Rickson Gracie, this 3-DVD set features grappling techniques with a gi (uniform) and without, so martial artists of all levels can successfully transition between styles. Taking readers through the major grappling positions found in mixed martial arts, Brazilian jiu-jitsu, and submission fighting, Machado builds a foundation from which grapplers of any background can use. The lessons include gi and no-gi takedowns, passes, counters, and submissions, as well as how to exploit opponent vulnerability, how to secure dominant positions, and how to execute match-ending attacks from almost any angle. 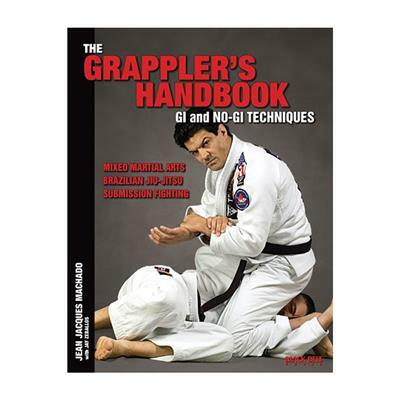 The DVD set serves as a companion to the book The Grappler’s Handbook: Gi and No-Gi Techniques and provides multiangle live-action depictions of the techniques and an optional on-screen caption track that details where in the book viewers can find more in-depth coverage.